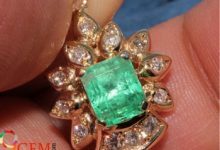 Before going to buy gemstone online, there is a lot to know before finalizing a gemstone purchase. How can you be sure of what you are getting? Are you aware of the different gem treatments that can alter the appearance of a gemstone? Some treatments will greatly affect a gemstone’s value. 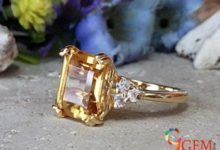 Here you will find answers to your questions about gemstones as well as how to buy a good quality gemstone that suit you best. 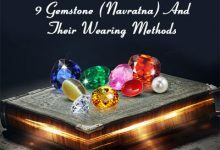 Why only nine (navratna) gemstones are considered main when there are thousands of stones and minerals available around the world? Answer: There are nine planets in the universe whose impact is significant in the lives of all living creatures. Moreover, this planet emits a beam of light and these nine gems have the capability to absorb these rays completely and therefore, they are being nominated as main nine stones. Apart from these nine stones; those stones which absorb or intake these beams of light in a rational quantity is classified as being semi-precious gemstones. What is the difference between a gemstone, semi-precious gemstone, synthetic gemstone, and colorful glass? Answer: Gemstone, semi-precious gemstone, synthetic stone and colorful stone all are used by people for different purposes. However, the purpose of use totally depends upon their ability to grasp the beam of light emanated by all the nine planets. A gemstone has competent enough to absorb the beam of light emanated by all planets in maximum quantity; hence it is acknowledged to be the most precious stone. A semi-precious stone consumes beam of light breathed off by all nine planets in a confined quantity, therefore, it is acknowledged as Semi-precious. Subsequently, a synthetic and glass take in the beam of light evaporated by the planets in minor quantity and glass does not ingest this beam of light anyway so it is ranked under all. Does a real gemstone bring more favorable results for its wearer? Answer: Yes, indeed wearing a good quality of gemstone carries satisfying results for its wearer. And, it occurs because a high-quality gemstone absolutely consumes the powerful ray of light emitted from a planet. This situation is quite identical to a situation where one look through a clean and smudge free mirror, he/she gets to see everything clearly across the mirror; however, if he/she looks through an unclear mirror the vision would be blurred and murkiest. What are the other options available to a person who can’t afford a precious gemstone? 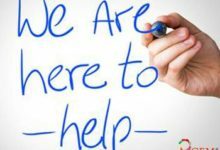 Answer: Such as a poor person is not adequate to bear the expenditure of his/her clinical treatment likewise, a person who can’t afford an astrological gemstone deprives of the benefits being offered by these stones. Just as in case when a person can’t afford expensive medicine, he/she opt for low-priced medicines to get rid-off diseases; in the same manner when a person can’t afford expensive stone, he/she can adopt other measures such as fast, reciting mantra’s an endowment to obtain the favorable results from planets. Does wearing gemstone in a specific metal is essential? Answer: Yes, indeed, the metal has the capability to enhance or reduce the overall ability of a stone. Hence, it is extremely important to adopt gemstone in a suitable metal as per the suggestion of an astrologer. What should be done if gemstone gets misplaced, cracked? Answer: It is conceived as inauspicious if gemstone or Ratana gets broken. Therefore, it is advised that one should not wear either broken or used gemstone. Why it is advised by an astrologer to wear gemstone with increase weight than prescribed? Answer: It is stated as auspicious wearing a high weighted gemstone than prescribed weight. 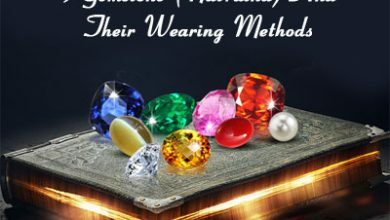 Suppose, if you are being asked by an astrologer to wear a gemstone or Ratana of five carats, then it would be more benevolent if you wear a stone with slightly more than its purposed weight. Let’s say, wearing a five-carat and one and quarter time larger stone will be beneficial. Which and when a gemstone should be worn? 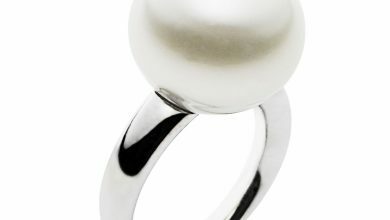 Answer: Some gemstone can be worn throughout life and its benefits or positive energies can be enjoyed throughout life. On the other hand, there are certain gemstones or minerals which are time bounded and bring positive changes in your life for a confined period of time and later on they become lifeless and ineffective. 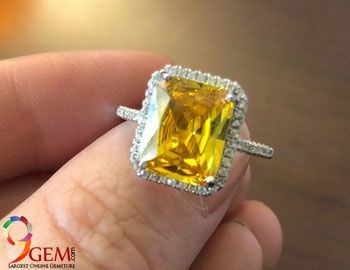 Thus, while wearing a gemstone one should sit with an astrologer who can access his/her horoscope and based upon his assessment, he would guide you whether you should wear this stone or not. 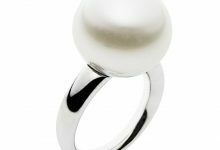 What is the difference between adopting a gemstone in the ring and necklace? Answer: The focal point of our brain is located on our fingers exactly. Thus, wearing a gemstone settled in a ring bestow more benefits to its user through that beam of light which is being preserved by a stone. On the contrary, wearing a gem in necklace does not bring equivalent positive results as a ring. It is advised to embed double weighted stone in the necklace in order to gain equivalent benefits to rings. Wearing used gemstone is appropriate? Answer: No, not at all, this practice is discouraged everywhere and astrologer unanimously asks people to avoid wearing a previously used gemstone. The reason behind this suggestion is that already used gem energies have already been consumed or exhausted by an earlier user of that stone. Hence, there is nothing left for a new user to try because of this; a person should not wear a used gem. In case if a person wants to wear a used gemstone; he/she should wear a gemstone used by his/her close relative like a wife/brother, mother, and father. Are heated gemstones considered less effective? 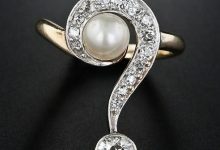 Answer: Yes, because a precious stone quality is being threatened when it is being warmed at a high temperature. Therefore, it would not be far-fetched to say that a heated gemstone is less powerful than a natural gemstone. Are many small gemstones aggregately overpowers a natural gemstone? Answer: This proclamation is quite equivalent to this statement suppose, in a dark room hundred candles are being burnt and in the adjacent room a big bulb is switched on. The brightness of a big bulb is far better than 100 burning candles. Just as, combining small gem together can’t overpower a natural gemstone. Answer: It is believed that the deity dwells in gemstones. 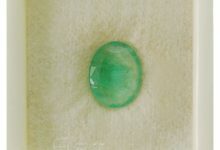 Without the presence of the deity, a gemstone is similar to the piece of glass. While wearing a gemstone a deity is being prayed or solicited. While inviting a deity, it is mandatory to choose the right time otherwise, wearing a gemstone will not prove beneficial for a person. Therefore, to impress deity and obtain the blessing from a deity, it is essential to adopt a gemstone at the right time. 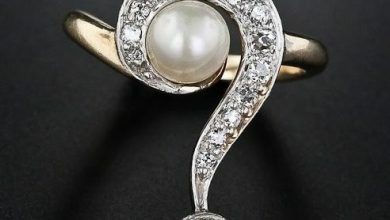 What is the process of removing a gemstone? Answer: Just as we welcome and adieu a guest from our house with the utmost honor and respect. Similarly, while taking off a stone in which a deity dwells, we should remove it displaying the utmost respect and gratitude toward that stone. To do so, while removing a gemstone we should offer prayer and recite mantra as per suggested by an astrologer and keep it in the safe place. As per pandits my kundali says I have sani sade sati for whole life and rahu dasha also I am anshik mangalik. They suggested me to wear panna, neelam and diamond. I would like to know if this information is correct also do i really need to worry about all these dosha, and what precautions i should follow as my major problem is I never get what i want even i work hard. Some thing (destiny) will took me to towards NO. also I am not getting settle in my professional life and not even getting my marriage done. First, you need to check which stone will suit you. For this, you need to consult with your local astrologer. Also if you want gem recommendation services from our astrologers, please send your query to support@9gem.com. Note that our gem recommendation services are done with the help of astrologer and services are chargeable. Yes, you can wear a gemstone for positive powers. But for this you need to check which part of your horoscope need improvement. Sometime gemstone recommended to make a planet more stronger. Please do not wear broken or cracked gemstones at any case. It will not help you in anyway. 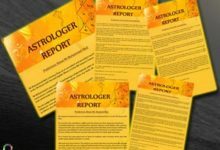 My advise to you is, please consult with expert astrologer and take the proper advise. As we are not astrologers, we can not guide you in this. We are Gemologist and only help you in good stone selection based on the suggestions from astrologers. We are associated with the third party astrologers for the advise but that services are paid. Please contact your local astrologer and then let us know about the stone.